A documentary about inclusive hiring for people with intellectual disabilities. 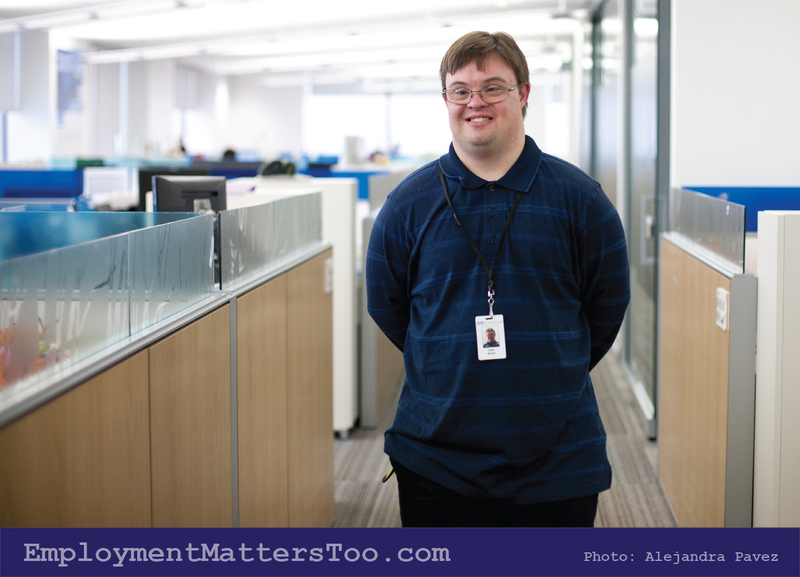 As part of WXXI and Golisano Foundations' Move to Include initiative, we are pleased to present Employment Matters Too, a documentary that explores the untapped market and huge potential of the intellectually disabled in the workplace. Employment Matters Too airs Sunday, November 5 at 5:30 p.m. on WXXI-TV. Filmmmaker Brandy Yanchyk profiles individuals in Western Canada in a variety of jobs, from a bakery to a horse stable and a homemade popcorn enterprise. As she follows them in their daily routines and talks to their families and employers, she discovered how much working means to employees and how much they contribute to their workplaces. Move to Include is a partnership between WXXI and the Golisano Foundation designed to promote inclusion for people with intellectual and physical disabilities. Through programming and special events, WXXI and the Golisano Foundation look to build a more inclusive community by inspiring and motivating people to embrace different abilities and include all people in every aspect of community life.